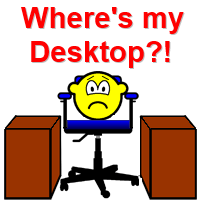 My Desktop Disappeared from Explorer: Quick Fix! So, one day you’re just minding your own business, and all is well. 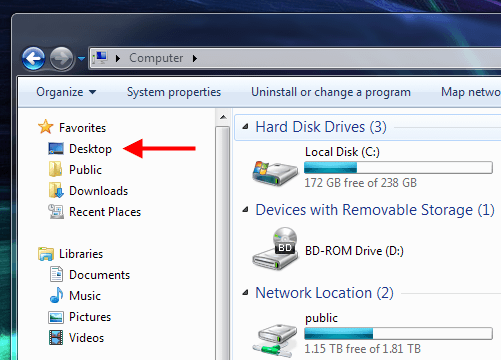 Then, before you know it, your Desktop link under “Favorites” in Explorer has gone bye-bye. It just got up and walked out the door. Where did the Desktop link go? So, how do you get your Desktop link back? Incidentally, you can right-click any of the folders under Favorites and select “Remove” to remove them. You can also drag other folders besides Desktop over to the Favorites section for quick access to folders you use frequently. That’s the whole idea with the Favorites section.